The United Naga Tribes Association on Border Areas (UNTABA) has strongly condemned the attempts by Assam Police to ‘forcibly’ establish out-posts within Naga territory in recent times. The association has also termed those as acts of ‘high handedness of the Assam Police and Civil Administration authorities of Assam’. In a statement issued to the media, UNTABA through its chairman Hukavi T Yepthomi and general secretary Imsumongba Pongen, further described these acts as totally in violation of the bilateral agreements made between the governments of Assam and Nagaland on several occasions. 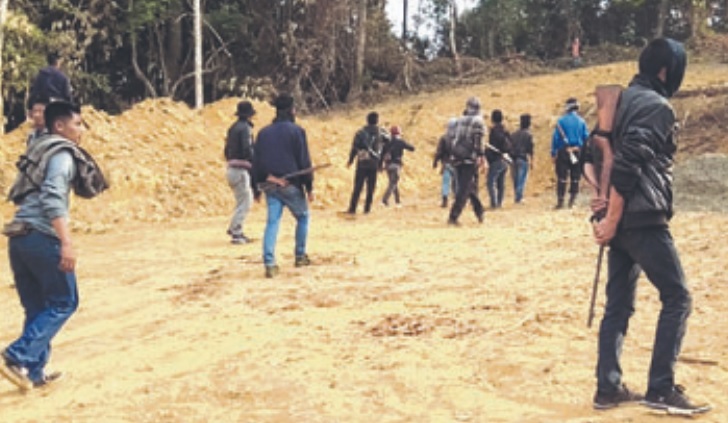 UNTABA pointed out the recent incursion by Assam for construction of border out post in the jhum fields of Lirmen village areas and also in the jhum areas of Wamaken village, last year). and the most recent being, construction of BOP within a village under Dimapur district. According to UNTABA, Assam, through such acts has shown its ‘determination’ to set up the BOP within Naga areas. On the other hand, UNTABA pointed out that when district administration and police in Dimapur, had submitted feasibility of opening BOP in Rilan village from the commissioner of police , after following procedures addressed to the commissioner Nagaland, there has been no response. Rather UNTABA termed the lack of response as ‘indifferent attitude’. The border dispute between Assam and Nagaland has been raging on in the Supreme Court for the past 30 years. Further, UNTABA said Nagaland has spent around Rs 30 crore through the commissioner of Nagaland who looks after Border Affairs department but nothing tangible has been achieved.